Naby Keita has endured a frustrating, stop-start debut season at Liverpool so far, with the former RB Leipzig midfielder yet to live up to lofty expectations. 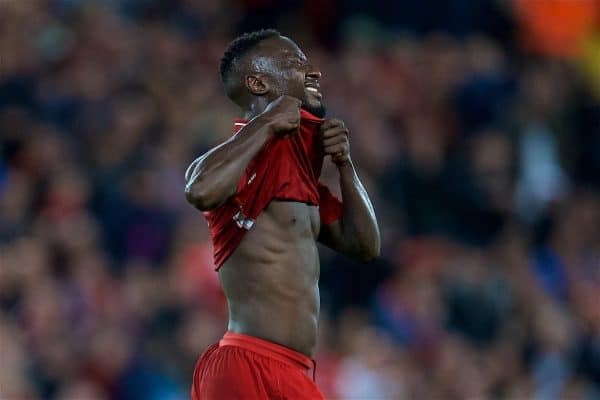 The manner of Keita’s much-protracted move to Merseyside meant the hope and anticipation for what he would bring were raised to a new and perhaps unrealistic level, as supporters had to waixt the entirety of the 2017/18 campaign before finally seeing Keita line up in the red shirt. Soon after his official arrival at the club in July, Jurgen Klopp lauded his new £52.75 million signing as the complete midfielder, and with Keita being the first to take up the iconic No. 8 jersey after Steven Gerrard, supporters were hugely excited about what the Guinea international would bring to Liverpool’s midfield. 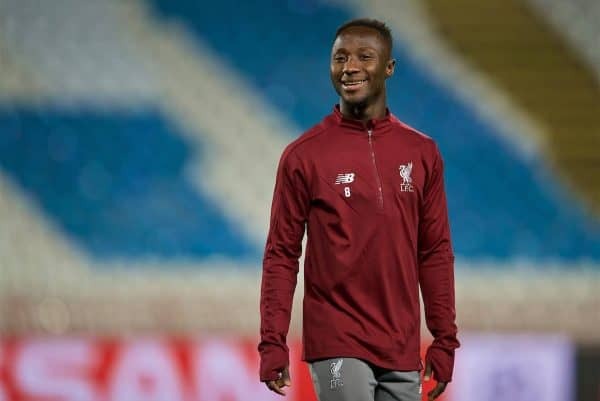 Following the respective departures of Philippe Coutinho to Barcelona and Emre Can to Juventus, compounded by the long-term injury to Alex Oxlade-Chamberlain, the expectation from many was that Keita would come in and revitalise Liverpool’s midfield, bringing a unique blend of creative flair and defensive diligence. So far, however, over halfway into the 2018/19 season, Keita is yet to consistently deliver the kind of performances which earned him a reputation as one of the most precociously talented emerging midfielders in Europe from his time in Germany. Here, we examine some of the factors behind his slow start, and why there is still good reason to believe he can become the player many believed he would be when he first joined the club. 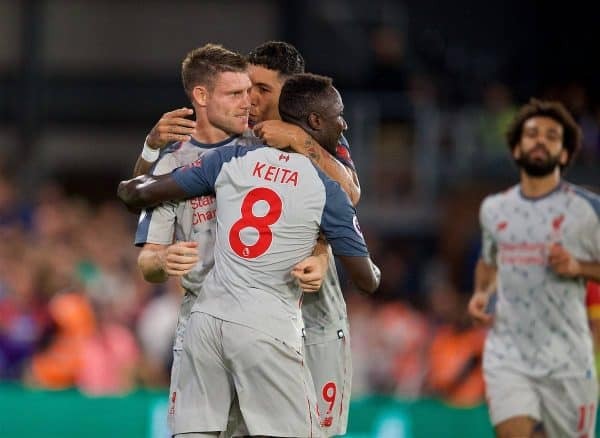 Keita’s introduction to life on Merseyside got off to a bright start, making his debut in the Premier League opener against West Ham back in August as part of a midfield trio alongside James Milner and Gini Wijnaldum. Collecting the ball in the middle of the pitch from Trent Alexander-Arnold, Keita drove at the heart of West Ham’s back line before laying off the perfect pass at the right time for Andy Robertson to cross to Mohamed Salah for the opening goal. 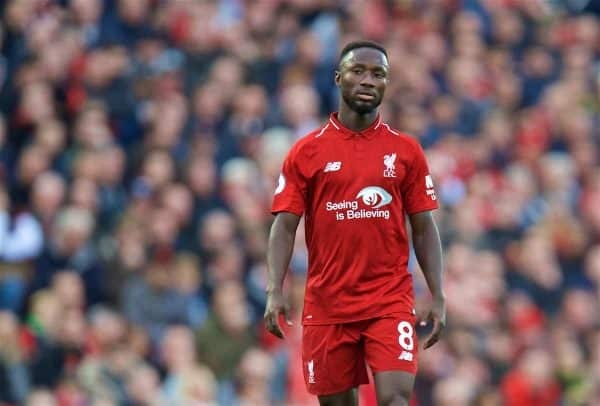 It was an immediate example of what Keita can offer from central areas, and he very much looked the part throughout a comprehensive 4-0 victory at Anfield, with some sharp touches and glimpses of his supreme dribbling ability. The following game away against Crystal Palace saw Keita collect the ball deep inside his own half from Alisson, under pressure from an onrushing Andros Townsend, only to nonchalantly turn and shimmy his way past the Palace man before calmly gliding forward up the pitch. It was the kind of skill suggestive of a player fully confident in his own ability and showing no signs whatsoever of any nervousness in terms of adapting to English football. A quiet but efficient showing in the 2-1 win against Tottenham at Wembley saw Keita play his part in Liverpool’s statement victory at that point in the season, in one of the toughest fixtures around. His fortunes since then, however, have dipped quite considerably. In contrast to Fabinho, who was regularly excluded from Liverpool’s 18-man matchday squad throughout the opening weeks and months of the season, Keita has somewhat faded into the periphery while the Brazilian has emerged as one of Liverpool’s most impressive and influential figures of late. Niggling injury problems have undoubtedly hindered Keita’s debut season so far, preventing him from gaining any real rhythm and putting together a consistent run of games. 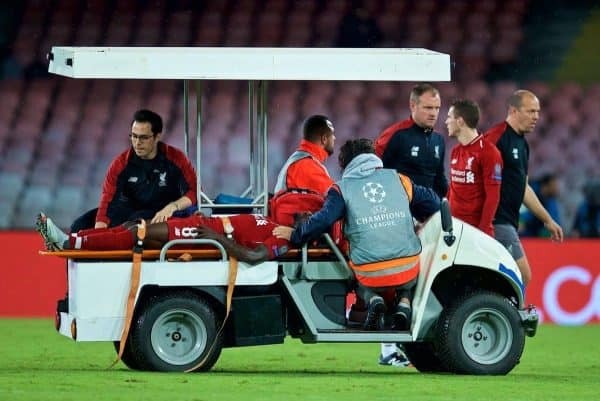 Stretchered off in the 1-0 away defeat in Napoli with what looked like a serious injury at the time, a series of numerous minor knocks have hardly helped Keita in finding his feet. The usual other caveats in terms of adapting to a new living environment, new team-mates and the pressure that comes with justifying price tag also apply. There’s also the fact that Keita endured a strange 2017/18 season, arguably playing without the same level of motivation which saw him break through in such spectacular fashion in the previous campaign, in the knowledge that he had already secured his big move to Liverpool for the following season. Psychologically, that must have been a challenge for the player and while he actually scored one more goal in 2017/18 than he managed in the prior season (nine), the overall consensus was that Keita’s performance levels for Leipzig did not match those from his remarkable debut campaign in the Bundesliga. 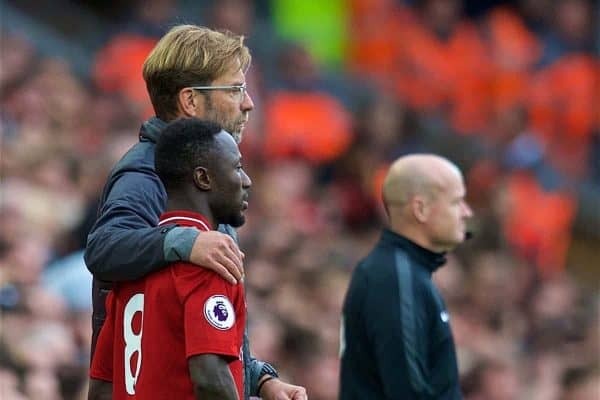 The fact that Keita also did not take the time to become proficient in English despite knowing a year in advance about his move to Liverpool is rather strange, and perhaps another factor in his slow adaptation, and the ability to communicate effectively with his team-mates would surely enhance his impact on the pitch. Most significant, though, is that Keita appears to be playing a different tactical role to the one he excelled in at Leipzig, which may go some way to explaining why we are yet to really see the player we expected given his time in Germany. As the above table shows, there has been a significant drop-off in several key statistics when comparing Keita’s performances for Liverpool so far with his performances in the Bundesliga. He’s making considerably fewer tackles, interceptions, key passes and dribbles per 90 than he managed in both his previous two seasons at Leipzig, which backs up perceptions that he isn’t performing anywhere near his previous level. 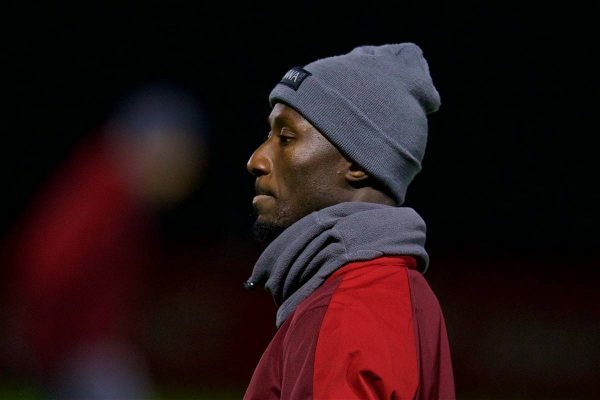 Of course, it is impossible to know exactly what instructions Keita is being given by Klopp, and it could well be the case that he is being told to perform a specific role which involves taking less risks in terms of dribbling past opponents than he had the license to do at Leipzig. On several occasions, he has also been fielded in a left-sided role in a 4-2-3-1 shape, whereby his ability to influence games from deeper, central positions with meandering forward runs and incisive vertical passing is significantly limited and looks far from a natural fit. It’s also worth noting that Liverpool as a whole were struggling to get into their groove in an attacking sense in the opening months of the season. Instead, they were winning games largely by virtue of an outstanding defensive record while the midfield and attack weren’t quite gelling properly as a unit. Of Keita’s 11 starts so far, three of them have come against ‘big six’ or Champions League opposition (Tottenham and Napoli away, Man United at home), while three have come in games where Klopp has fielded a heavily rotated side (early domestic cup exits against Chelsea and Wolves, and Burnley away in the league). Therefore, over 50 percent of Keita’s starts for Liverpool have come in more challenging scenarios. And while his performances have undoubtedly frustrated so far, he is yet to have a prolonged run of games in the team alongside the likes of Salah, Roberto Firmino and Sadio Mane, in which to fully acclimatise and express himself. There’s no questioning the fact that Keita is yet to contribute anything near what many expected from him when he first joined. But while the statistical drop-off from his Leipzig levels is stark, there are still encouraging signs to be taken from his displays so far. Data compiled by @AIUnderPressure shows that Keita has been Liverpool’s second-highest performer this season in terms of ‘presses per 90 minutes’ (31.4). Notably, Liverpool’s highest performer last season in terms of winning the ball back via pressing was Can (6.1 times per 90), so Keita’s stats thus far suggest he is contributing at a very high level in an important metric given Liverpool’s style of football under Klopp. Delivering these numbers is perhaps even more impressive given that Liverpool have had to adapt their style this season for many opponents. Having over 70 percent of possession renders pressing far less feasible, as the emphasis is more on Liverpool to carve out openings while dominating the ball as opposed to winning it back high up the pitch. There have, of course, been several notable performances where Keita has caught the eye, most significantly in impressive away victories against Burnley and Bournemouth during December. On both occasions, Keita showed the kind of sharpness and bravery in possession which has eluded him throughout much of the season, gliding past opponents with ease, wriggling out of tight situations and knitting together the midfield and attack. A viciously struck left-footed strike from long range saw Keita desperately unfortunate not to bag his first goal for the club against Burnley, as a fingertip stop from Joe Hart tipped the ball on to the post. 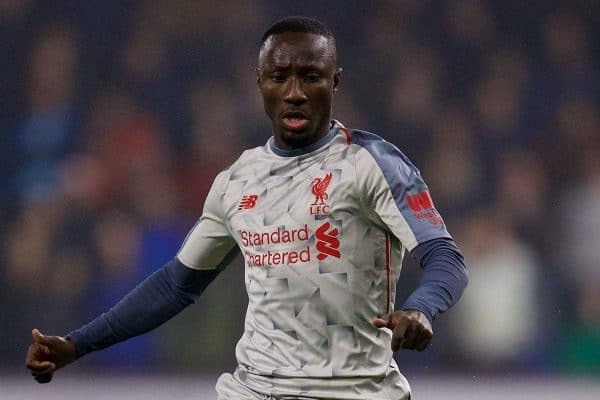 Still only 23 years of age, time is very much on Keita’s side and as history shows, whenever Michael Edwards and Klopp agree on a primary target, they are usually a resounding success in the long run. 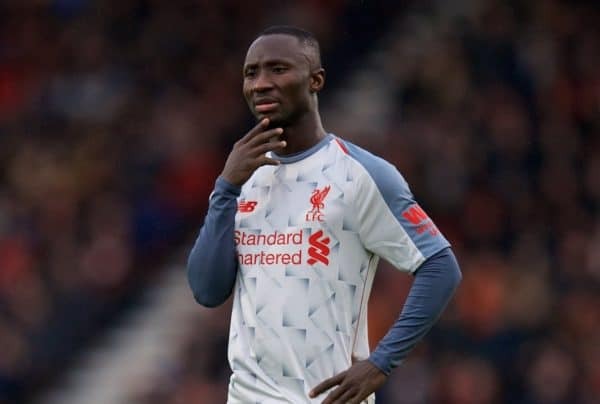 Given the relentless nature of Liverpool’s pursuit of Keita and the amount of detailed profiling which would have gone into it, Klopp clearly identified him as a player with all the attributes to be key for Liverpool for many years to come. 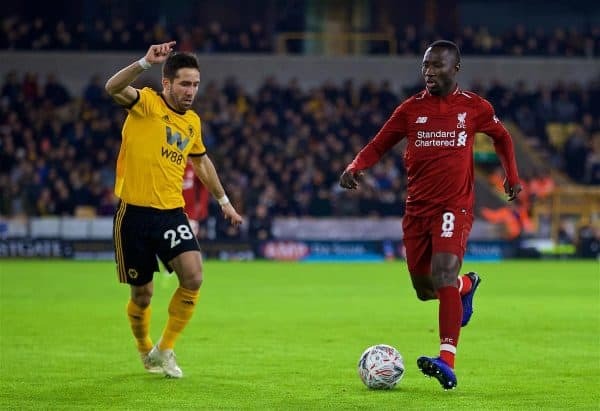 A combination of mitigating factors along with the emergence of Fabinho and outstanding performances of Wijnaldum in midfield have meant we are yet to see anywhere near the best of Keita during a frustrating first half-season for Liverpool. He is, however, an extraordinarily gifted midfielder and while he hasn’t shown it on a consistent basis so far, Klopp has a history of patiently developing players. And it might just be a case of having to wait a little longer than expected before Keita steps up and regularly delivers the kind of performances which he has shown himself to be capable of.